Bluetooth headphones come in many different sizes, shapes, capabilities and overall function. If we’re looking for Bluetooth headphones under $50 dollars in particular, we’re definitely a little limited in regards to finding advanced pairs with various technology and specs; however, some of us just want something simple that provides us with the essential Bluetooth headphones can give us: wireless listening to audio. 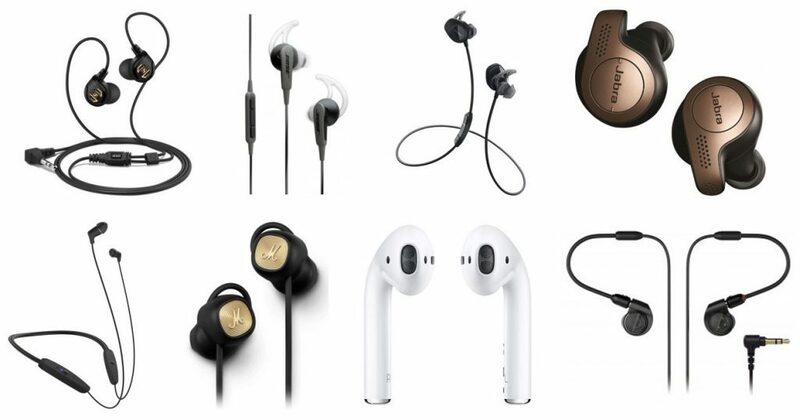 Today we continue our search for different types of headphones under certain price-ranges, and today we found a good amount of gems in the Bluetooth headphones under $50 area. Let’s get into it. Noise canceling headphones under $100 will be giving us a rather difficult price-range to work with; however, today we found some decent models looking into if you’re one who doesn’t want to spend nearly half a grand on those popular ANC models everybody raves about. To their credit, true Active Noise Cancellation technology comes with a cost — there’s a reason it’s so effective, and it all starts with how much work goes into implementing this into headphones. Most have tiny microphones built-in to the ear cups that pick up sound from the outside and ‘cancel’ them out using inverse frequencies. This isn’t cheap. Regardless, let’s get into some details here. Vlogging equipment comes in many different shapes and sizes. In order to create top quality vlogs that viewers become enthralled by, it’s important to make sure enhanced quality is sustained through every aspect. Audio, video and the final cut require quality cameras, top of the range microphones, adaptable lighting and state of the art software. You can technically start a vlog with merely your smart device if you wanted to, and although we recommend beginners start small, also advise those who want to take this at least significantly seriously to start collecting some top-notch gear as they get better at their craft. One of the earliest effects to break into the guitar scene, the wah hit guitar player’s pedal chains in the 1960s. Early users like Jimi Hendrix and Eric Clapton helped propel the effect into stardom through their creative use of the “crying baby” sound in their electric guitars. As decades have continued to come, the wah has found a home in every genre of music from hard rock to blues. Some of the greatest sounds in guitar history have come from rocking a wah-wah pedal during fast legato runs or adding vocal expression to a bend. Along with each pedal, we have provided links to some of our favorite demos in order to give you a feel of the capabilities of each wah.